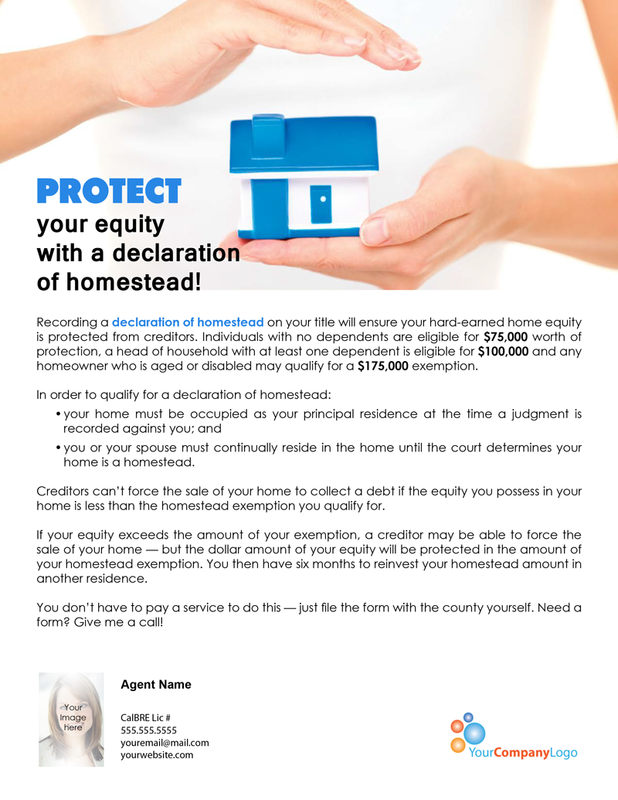 Recording a declaration of homestead on your title will ensure your hard-earned home equity is protected from creditors. Individuals with no dependents are eligible for $75,000 worth of protection, a head of household with at least one dependent is eligible for $100,000 and any homeowner who is aged or disabled may qualify for a $175,000 exemption. you or your spouse must continually reside in the home until the court determines your home is a homestead. Creditors can’t force the sale of your home to collect a debt if the equity you possess in your home is less than the homestead exemption you qualify for. 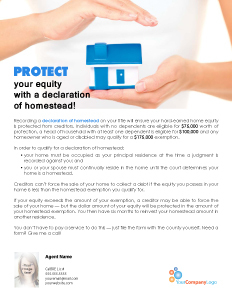 If your equity exceeds the amount of your exemption, a creditor may be able to force the sale of your home — but the dollar amount of your equity will be protected in the amount of your homestead exemption. You then have six months to reinvest your homestead amount in another residence. You don’t have to pay a service to do this — just file the form with the county yourself. Need a form? Give me a call! 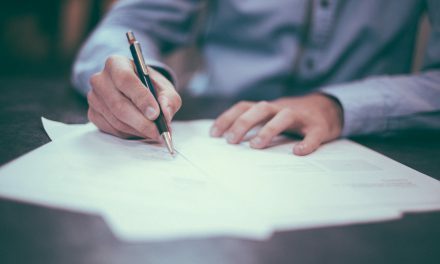 NextMay a mortgage holder obtain a deficiency judgment after foreclosing on only one of multiple properties securing a mortgage?